A Double Whammy of Truth about our Life’s Purpose. A wave of recognition washed over me: That feels about right. However, accepting that our life purpose may be something as simple as being happy is not easy. 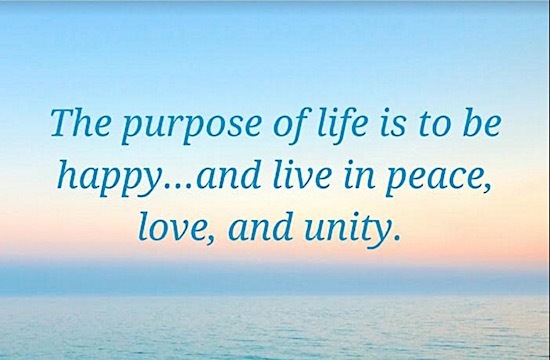 While I truly believe happiness is part of every soul’s mission, the path to that goal is unique for everyone and often takes some diversions along the way. Here are some of the steps and tools I have uncovered in finding and staying true to my life purpose. Step 1: Embrace a life of purpose. That quote is both profound and maddening. If we’re seeking that “one thing” we are supposed to be doing or achieving, hearing such advice doesn’t feel particularly helpful. Still, accepting that purpose is part of our package is vital. Thankfully, in the circles I find myself these days, most people know that they want purpose in their life—that they want to serve humanity or be the best they can possibly be. That certainly isn’t true for every person. A large number of people are still not even awake to the fact that their time on Earth has a common thread or goal, or that it even matters much at all (shudder). If you are even the slightest bit intrigued by the thought of having purpose, give yourself a pat on the back because you are surely on your way to uncovering why you are here. Step 2: Have a broad vision. 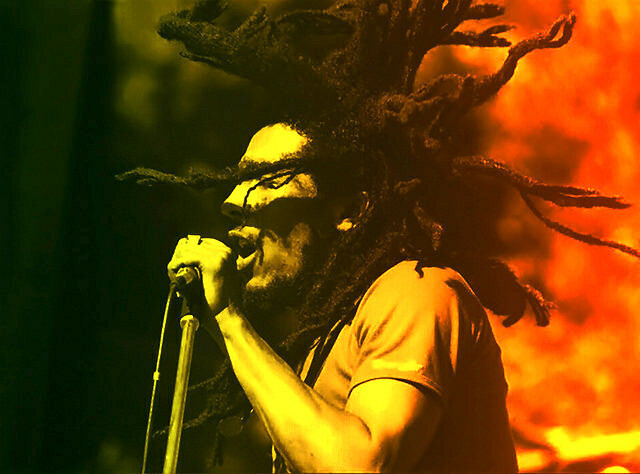 Some might say Bob Marley’s passion and life purpose was to make music. That is partly true. She was shocked at the question, and rightfully so. How did I actually make it through high school and never hear a Bob Marley album? Embarrassing really, but diversity was not big in my Rhode Island upbringing, so that musical gem escaped me. Hearing the soulful chorus, “Everything’s gonna be all right. Everything’s gonna be all right now, Everything’s gonna be all right…No woman no cry!” made my heart swell. Being away from home, meeting so many new people, living with perfect strangers—it was all really hard on this introvert. Hearing Marley’s words was such a source of comfort, support, and love. That song still hits me right in the heart. Everything’s indeed gonna be all right, Bob Marley. If you can’t pinpoint that one job or role meant for you, perhaps it is because your purpose is much broader. Maybe you are meant to spread truth? Or, you are meant to make the world more beautiful through art? Maybe you are a natural leader or a compassionate caregiver? There is even the chance that you are just supposed to be so happy that you inspire others to be happy too. None of these themes point to a specific path or role, which I believe is the point. We all have free will, so even if we come into this world with a specific set of skills and gifts, we ultimately get to choose how we hone and use them in the manner that feels best. Step 3: Accept your truth. Once you accept that you have a purpose, you must then accept that you likely already know what it is. That is a double whammy of truth—and it is a pretty big deal. Acceptance is one of the hardest skills to master. I know quite a few loving, compassionate people who live their days with great purpose, yet they don’t realize they are doing so. It is hardest to see what is right in front of you. For instance, a close friend is an effortless nurturer and natural community-builder. She brings kindness and compassion to everything she does, and deeply touches other people. Yet, if asked, she would tell you that after six decades of life, she is still not sure of her purpose, or if she is actually living it. She keeps looking for that one job or title that will make her feel as though her efforts have meaning. Meanwhile, her every day is effortlessly filled with deeply meaningful acts: making meals for busy friends, researching healing treatments for family members, organizing a fundraiser, and on and on. To anyone touched by her graciousness, it is obvious she is living her purpose, but still she struggles because she can’t embrace this crucial step. Step 4: Be still—you already know. I know the denial and struggle of accepting one’s life purpose all too well. I have nurtured others to write books, to publish their poetry, and to start blogs. In many ways I am the “writing whisperer” for everyone else, yet I still find it hard to call myself a writer, let alone finish one of the numerous books that I have in progress. The trouble is, I believed everyone could write, and I didn’t feel particularly gifted in this area. In addition, a few harsh critics eroded my confidence (not the least of which was yours truly). It has only been in the last few years of people beating me over the head with praise for how “well-written” my work is that I finally realized that this is one of my gifts. However, it isn’t the only one, which I feel is part of why my true purpose has remained such an elusive mystery. To re-emphasize step two, our purpose is often much broader than one role. This became much clearer for me around five years ago. I was doing deep, spiritual work that involved daily meditation. I asked the universe to tell me my purpose. Actually, I asked a spiritual leader in a community I was participating in to put forth the request on my behalf. There was a language barrier, and she seemed confused by the question. Regardless, ask and you shall receive. Yet, in reviewing my life I can see that in virtually everything I do, I focus on sharing information. From the very beginning of my career as a nutrition counselor, to my current role as a communications consultant, even just in my day-to-day interactions on Facebook—I never stray far from that goal. Spreading free, natural healing information and resources is the mission of this very site! The summation of these stories and steps is simple, really. You do have a purpose, and you are likely living it and living it well. If that is just not quite good enough, following are some additional resources that have helped me find validation along the way. None of them are as helpful as tapping into my own inner knowing, but they all offer assistance along the path. Also, I encourage you to spend time with passionate people who love what they do; they will help you see and feel a life of purpose in action. Finding Your Own North Star: A comforting and inspiring work from one of my personal favorites, Martha Beck. It helps nudge you toward your personal truth. The War of Art: This book, by Steven Pressfield, made it clear to me that I was meant for creative work by affirming that art in all its forms is not easy for anyone! “Waking Up“: An article that offers questions to help you focus on what is important to you. Life Purpose Calculator: From Dan Milman, this helps you determine your life path number which offers interesting insight. Life Purpose Boot Camp: This one, by Eric Maisel, is helpful because it helps you uncover what is meaningful to you in an eight-week, self-guided program. 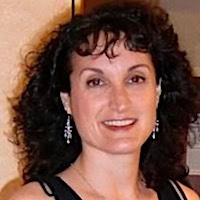 Michelle Gibeault Traub, MA, RDN is a health writer, spiritual seeker, and recovering perfectionist. She is also an empath with a deep desire to help others, Michelle shares her tips for natural healing of body, mind, and spirit on her website.